Sighting cetaceans is one of the favorite activities of tourists who spend their holidays on Tenerife. Different boats make the excursions, that set sail from the ports of Los Cristianos, Puerto Colón and Los Gigantes. The Cabildo de Tenerife recommends hiring your excursion only with those boats that have the distinctive yellow flag that certifies them as “Blue Boat”. Only these comply with the required regulations and ensure that the activity is developed with the maximum guarantees for both the tourist and animals. 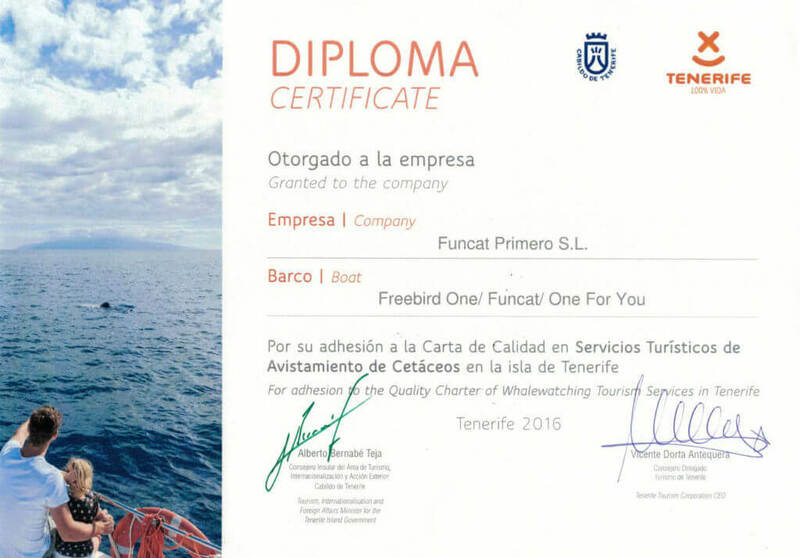 In addition, a fortnight of these legal boats have gone further and have adhered to the Charter of Quality of Tourism of Tenerife, which supposes an extra respect to the living conditions of these mammals and the marine environment, and between these companies is Freebird Catamarans, committed to the conservation of our marine ecosystem, and the rich biodiversity of the coast of Tenerife. 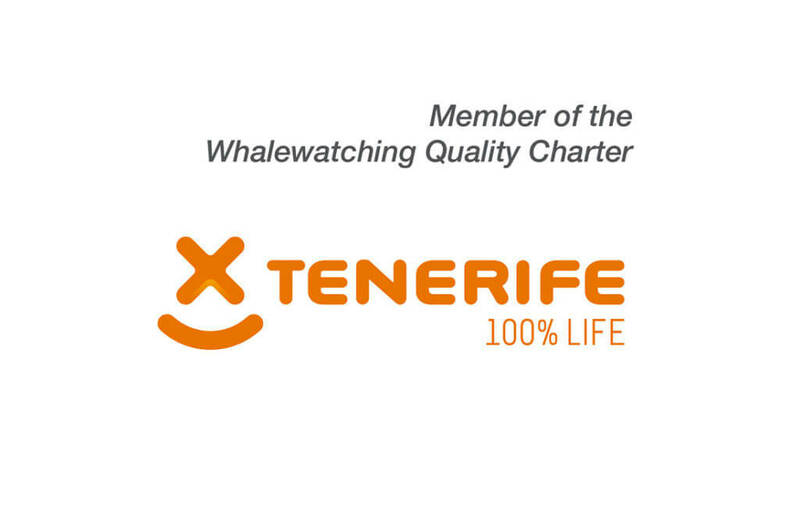 All companies adhered to this Quality Charter voluntarily undertake to offer quality tourism services, respecting all wildlife and minimising any potential impact their activity might have on the marine environment. This Charter is the outcome of a project involving companies in this sector with a view to offering distinguished and quality tourism. 1) We believe it is our task to join forces towards greater environmental sustainability by managing the waste generated by our tourist activity. Therefore, insofar as possible, we choose recyclable materials for our activities, use products that are not potentially harmful for the marine environment and perform selective waste management (glass/plastic/paper/organics) at our offices and on our ships. 2) We wish to encourage the protection of the natural surroundings we work in. To do so, we take an active part in cleaning the marine environment, and during our activities we undertake to stop or change what we are doing in order to collect any waste that appears on the surface. 3) We consider that our boats can be used as research platforms, and we are therefore open to cooperation with various scientific and dissemination groups in order to preserve the marine environment. 4) Every outing is an opportunity we take to maximise tourist experience and minimise any impact we might have on the marine environment. With that in mind, we always aim to cause as little impact as we can when approaching animals and try to keep as quiet as possible during sightings, ensuring that every manoeuvre is safe. 5) To guarantee the quality of every tourist experience, we believe it is important to have a guide on board to help our visitors understand the area we are visiting. That is why our company provides groups of at least 25 passengers with an expert whale watching guide. For smaller groups, the captain may perform that function if they have the necessary experience to do so. 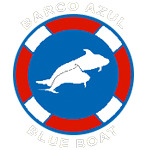 6) All information regarding our company and our activities, both on land and on board, will be available in two languages: English and Spanish. 7) We strive to make a faultless impression in everything we do. Our company is committed to keeping the boat spotlessly clean before each service. Our crew is always clean, tidy and in uniform, wearing identification badges showing their name and post. the wildlife they will be seeing (species and characteristics of cetaceans, sea birds, coastal landscapes, etc.). 9) We will be active on social networks (Facebook, Twitter and others) to make direct contact with our visitors and keep in touch with them before, during and after their visit to the Island. We realise that new technologies are the easiest way to communicate with customers, so we also have an updated web site displaying all of the above information. Information regarding the natural resources that will be seen during the activity and the need to jointly play an active role in their preservation. 11) Safety on board is a crucial part of our service. Therefore, at the beginning of every outing we always issue a series of basic on-board safety rules and guidelines on how to act in case of an emergency. 12) In order to optimise our tourist services, it is vital that we hear what our customers think about us. To do so, we promise to assess our visitor satisfaction by conducting a questionnaire with at least 5% of our daily customers. 13) Training is one of the keys to improving our service, hence our pledge to take part every year in any conferences and training courses organised by the Tenerife Tourist Board, including at least one member of the crew from each boat. 14) We want to set our services apart and foster a Culture of Attention to Detail among our teams. To achieve this, we have helped draw up a Best Practice Handbook for whale watching on the Island, which we promise to follow and apply on our ships and in all our tourist services. 15) We pledge to keep all our human and technical resources up-to-date with the criteria established in this Quality Charter, ensuring they are familiar with all fifteen points that comprise this document and its staged implementation over six months following the signing of the agreement by various companies and the Tenerife Tourist Board.